I was leaving the Library today after picking up my interlibrary loan book…. I can’t wait to read it tonight…. But I digress…. Back to this blog. I ran into a friend who had a sewing question. You know the saying ” A picture is worth a thousand words..” This is the case. She asked how I got the rick rack edging in the hem seam. I tried to explain and I saw by the glazed stare she had no idea what I was saying….. I am working a little project today and I wanted to add a touch of trim so I took pictures and hope this helps…. 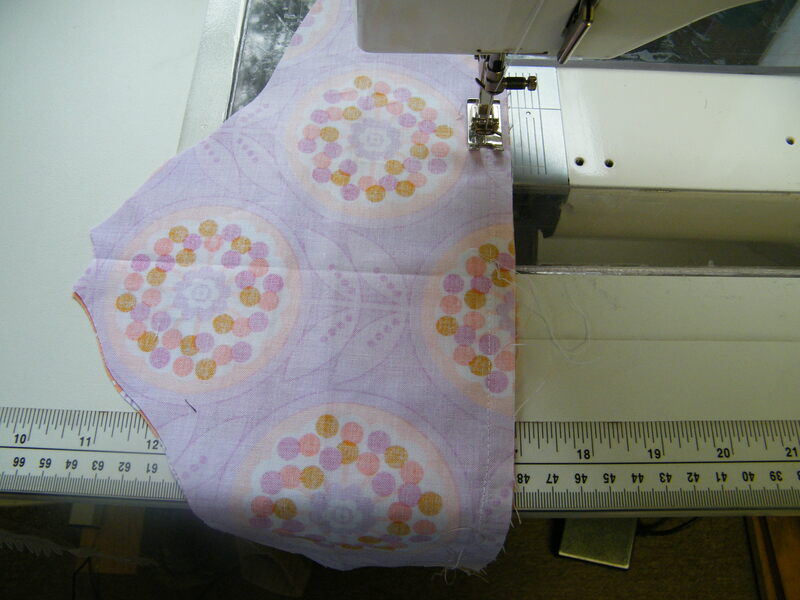 I’m trying to explain how to add the trim sandwiched between two layers of fabric. 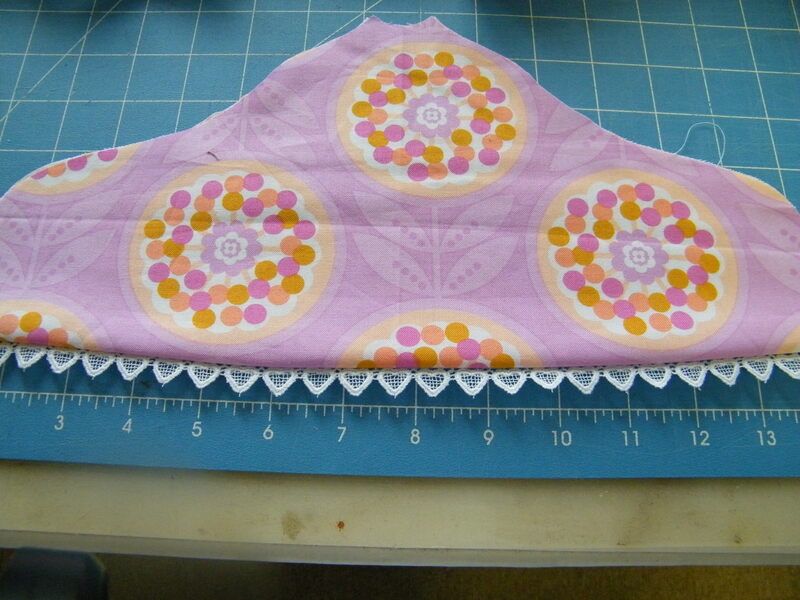 This could be around the edges of a pillow, or, the hem of a lined a-line jumper for girls, really anywhere. This sample happens to be the top part of a new clothes-pin holder. 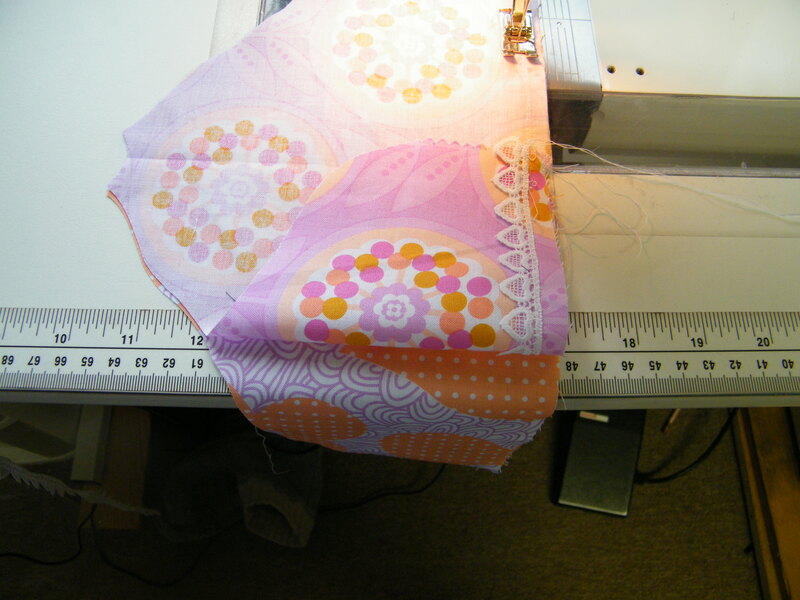 The first step is to stitch the trim with the lip facing the raw edge on the fashion fabric right-sides facing. 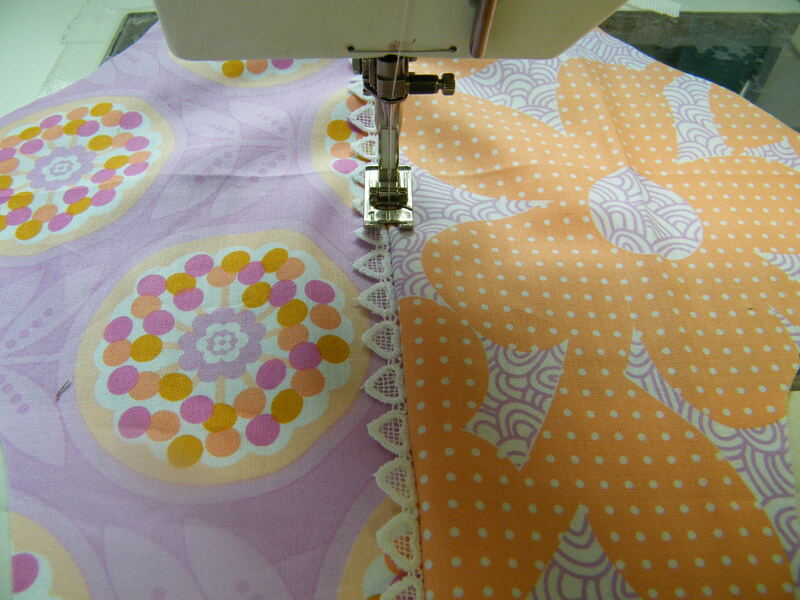 I like to see the fashion fabric and exact area on the lip of the trim line. This step serves two purposes. 1. I hate sewing with pins and this secures the trim nice, flat and smooth, and 2. 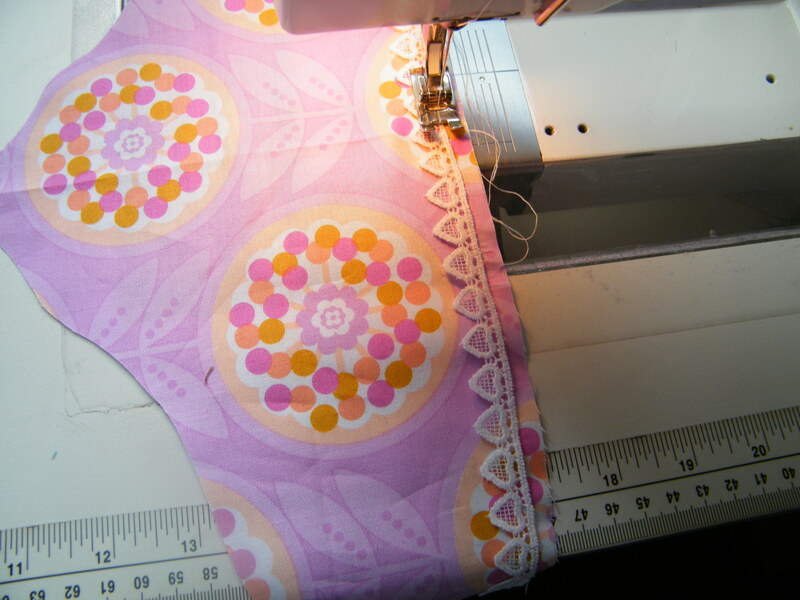 The bobbin stitching thread serves as a sewing guide for perfection on the next step…..
Open up the piece with all seams toward the back or lining. Top-stitch the seams towards the lining/back. I haven’t even pressed this yet because that underlining stitch gives such a crisp finish. I hope this helps….. 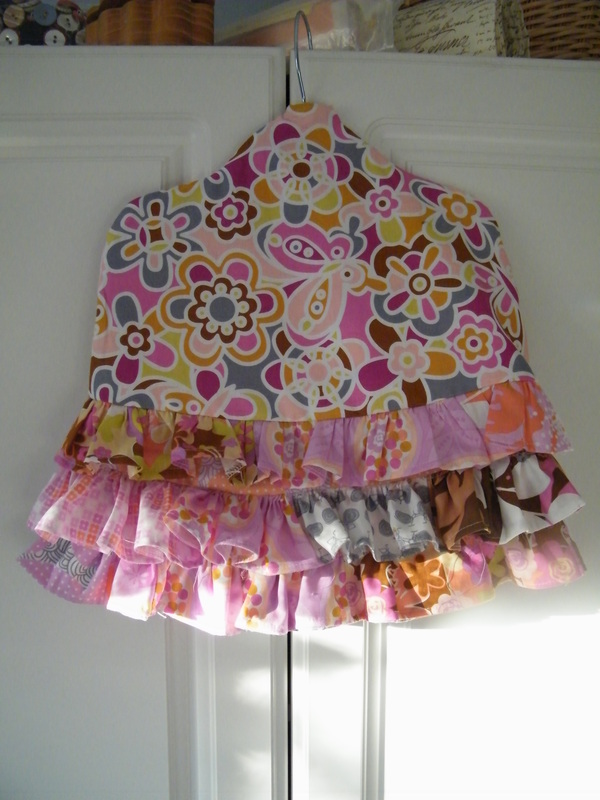 This is actually the finished project..
Because hanging the laundry should be this pretty!! Hey Terri, love your blog. Loved the class that you taught in Orlando! Do you ever come to Atlanta? 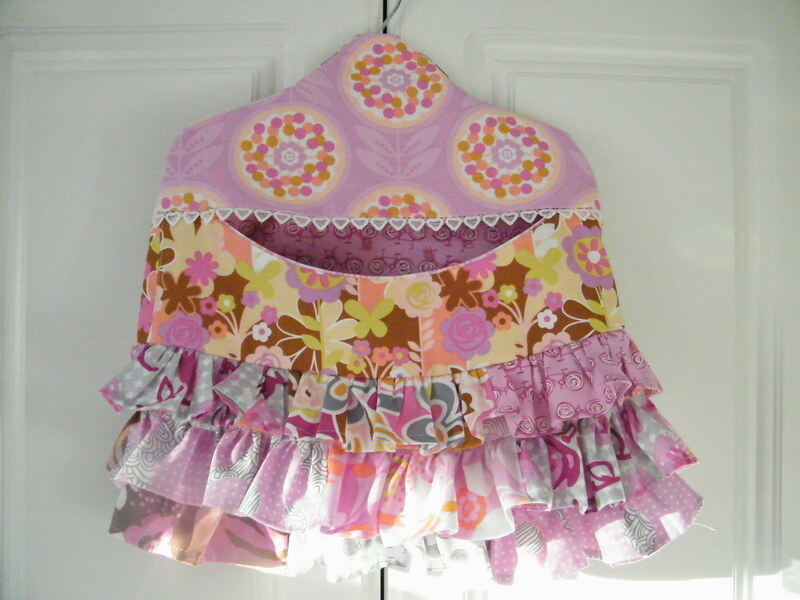 Could you show a demo on how to put in a hidden zipper? I am struggling a bit at finishing it off at the bottom.